Google may have pulled out of the Pentagon's $10 billion JEDI cloud project, but Microsoft has no intention of following suit. Company president Brad Smith has used a blog post to defend the decision to bid for military contracts, despite pressure from its employees. Smith recognizes that there are ethical concerns about getting involved in military projects, particularly when artificial intelligence technology is involved. However, he says: "we believe in the strong defense of the United States and we want the people who defend it to have access to the nation's best technology, including from Microsoft". Smith goes further, arguing that it is important for Microsoft to be involved in such projects so that it can help to steer things from the inside. He says that "to withdraw from this market is to reduce our opportunity to engage in the public debate about how new technologies can best be used in a responsible way". We've worked with the US Department of Defense (DOD) on a longstanding and reliable basis for four decades. 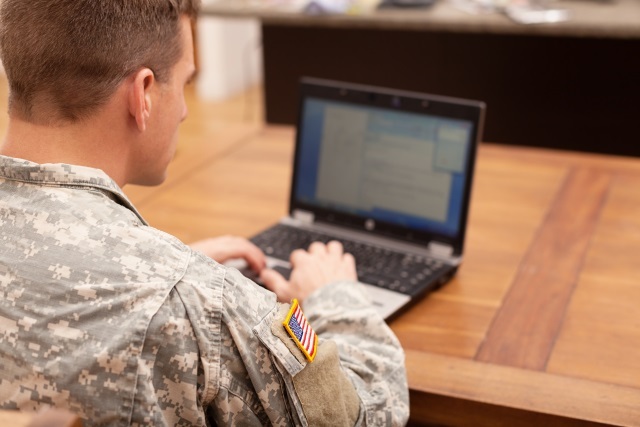 You'll find Microsoft technology throughout the American military, helping power its front office, field operations, bases, ships, aircraft and training facilities. We are proud of this relationship, as we are of the many military veterans we employ. Recently Microsoft bid on an important defense project. It's the DOD's Joint Enterprise Defense Infrastructure cloud project -- or "JEDI" -- which will re-engineer the Defense Department's end-to-end IT infrastructure, from the Pentagon to field-level support of the country’s servicemen and women. The contract has not been awarded but it's an example of the kind of work we are committed to doing. We readily decided this summer to pursue this project, given our longstanding support for the Defense Department. All of us who live in this country depend on its strong defense. The people who serve in our military work for an institution with a vital role and critical history. Of course, no institution is perfect or has an unblemished track record, and this has been true of the US military. But one thing is clear. Millions of Americans have served and fought in important and just wars, including helping to free African-Americans who were enslaved until the Civil War and liberate nations that had been subjected to tyranny across Western Europe in World War II. Today the citizens in our military risk their lives not only as the country's first line of defense, but often as the nation's first line of assistance around the world in hurricanes, floods, earthquakes and other disasters. We want the people of this country and especially the people who serve this country to know that we at Microsoft have their backs. They will have access to the best technology that we create. He acknowledges that technology such as AI presents new ethical issues that need to be considered, and he reiterates his belief that Microsoft needs to be involved: "Artificial intelligence, augmented reality and other technologies are raising new and profoundly important issues, including the ability of weapons to act autonomously. As we have discussed these issues with governments, we've appreciated that no military in the world wants to wake up to discover that machines have started a war. But we can't expect these new developments to be addressed wisely if the people in the tech sector who know the most about technology withdraw from the conversation". There's an element of hand-wringing suggested throughout the post, but Smith's message is very clear: " when it comes to the US military, as a company, Microsoft will be engaged".